GOM Audio is a free music player that can play music from CDs and other formats at high quality. It provides effects and useful features, such as multi-speed playback, pitch adjustment, and equalizer, which are ideal for both general listeners and musicians. GOM achieves the highest quality audio that is optimized for different environments. In addition, it provides sync lyrics for audio playback, so you can listen to music while following the lyrics. If no lyrics are available, you can enter your own lyrics using the Sync Lyrics Editor and then upload them. Moreover, through the GOMPod Service, you can listen to popular podcasts by streaming or downloading them. What's even more surprising is that you can enjoy all of these functions not only on your PC, but also on your mobile device. 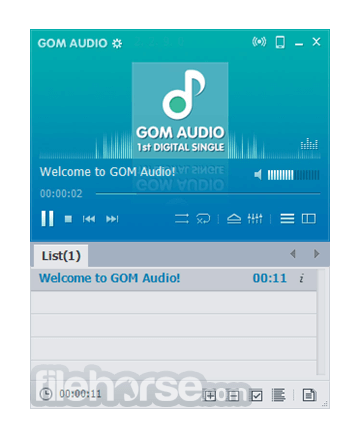 Download Now GOM Audio for Windows PC. 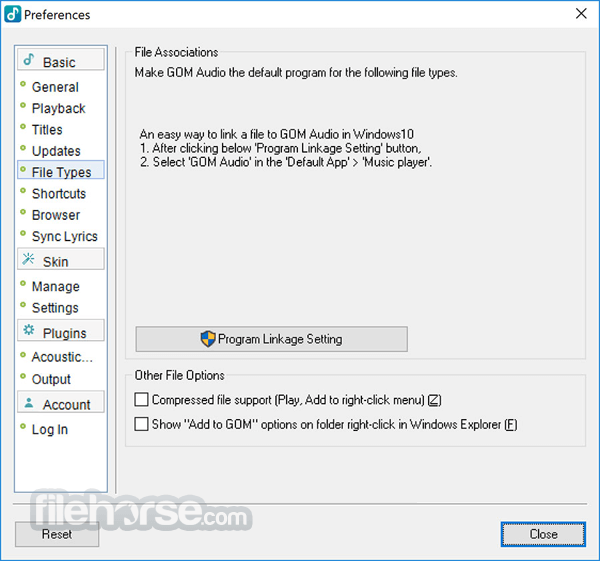 GOM Audio was designed to be the audio playback answer to the popular GOM Player video playback software. Because GOM Audio is based on GOM Player, many of the same features (like A-B Repeat and Playback Speed controls) and shortcuts are included! GOM Audio features sync lyrics that are displayed along with your music. If there are no sync lyrics available, you can make your own lyrics with the Sync Lyrics Editor and then upload them. You can listen to popular podcasts in most major languages using GOM Audio. Try listening to podcasts by streaming or downloading them. You can also bookmark your favorite podcasts. With a GOM ID, you can manage your synced lyrics by uploading/editing them and the other details of your personal account in the My Profile menu. The other advantage is that your synced lyrics will be shared between your PC and mobile device. GOM Audio is available in an Android version, which features the same functions as those of the PC version, including sync lyrics, editing, GOMPod Service, as well as our cloud service. Now try listening to music easily with GOM Audio any time, anywhere, on mobile devices using our widget and via the lock screen. 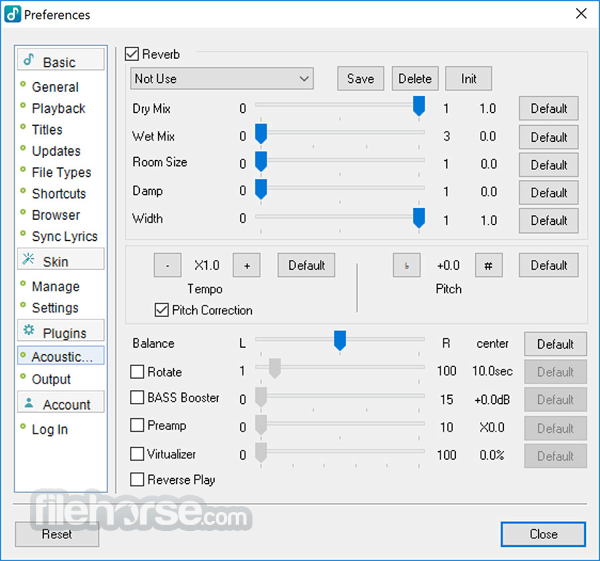 Automatically shutdown, restart, or put your computer to sleep when your playlists reach the end. Fall asleep while listening to music without worrying about your PC being on all night! It doesn’t take much to run GOM Audio, so you won’t need to close other programs or micro-manage your resource usage in order to play your music smoothly. You can also use GOM Audio's Mini Player mode to lock playback controls to the taskbar for easy access and reduced clutter on your screen. GOM Audio’s default skin has 7 different display modes to choose From, and you can change your skin entirely by choosing a new one from the preferences window. You can control GOM Player with GOM Remote. This includes basic functions, such as moving forward/back, play, and pause. This also includes advanced functions, such as opening files, searching, and PC power control.